LAKE BUENA VISTA, Fla. (August 20, 2014) — The Orlando Classic, held annually on Thanksgiving weekend and now in its ninth year, announced today that tickets for the 2014 tournament will go on sale Friday, Aug. 22. The Orlando Classic will begin Thursday, Nov. 27 and continue on Friday, Nov. 28 and Sunday, Nov. 30, from HP Field House at the ESPN Wide World of SportsÒ Complex at the Walt Disney World ResortÒ near Orlando, Fla. Fans can purchase Orlando Classic tickets to all five sessions (12 games) for $150 each. Single-session tickets will be sold only during tournament week, and will be based on availability. If single-session tickets become available, the cost will be $60 per two-game session on Thursday and Friday, and $75 for all four games Sunday. Tickets are available at ticketmaster.com, by calling Ticketmaster at 1-800-745-3000 or on location at the ESPN Wide World of Sports® Complex Box Office. The family-friendly tournament is a weekend-long affair at the Walt Disney World ResortÒ, where participating teams practice, play and enjoy the Walt Disney World ResortÒ Theme Parks. Travel packages are available for fans and include resort accommodations at the team hotel, game tickets, theme park tickets and much more. 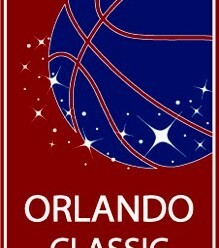 Visit AnthonyTravel.com/espn/orlando-classic or call 888-632-6951 to make your reservation today. Memphis won 2013 Orlando Classic. Previous winners also include Gonzaga in 2008 and 2012, Dayton in 2011, Notre Dame in 2010, Florida State in 2009, NC State in 2007 and Arkansas in 2006. ^ – Non-bracketed game. These games will be played at the respective host schools, not at ESPN Wide World of Sports.